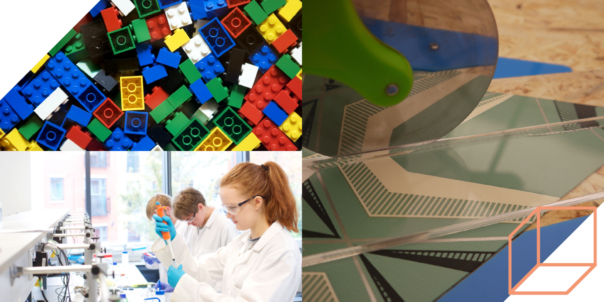 Dismantle a virtual jet engine, wrestle with robotics or get hands-on with cutting-edge technologies at the activity-packed weekend of The National Festival of Making. 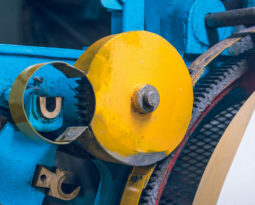 Dismantling jet engines and feeling the virtual heat of cutting-edge welding equipment from the safety of a 34-ton hi-tech activity truck forms a heavyweight part of a packed programme of technology-led, hands-on activity at this year’s National Festival of Making. Taking place in Blackburn, Lancashire over Sat 12 – Sun 13 May 2018, the festival’s drive to connect people of all ages with ‘a new age of making’ results in leading manufacturers packing town centre locations with industry-leading expertise, advanced machinery and have-a-go activities. An unmissable arrival on the town’s streets will be the Advanced Manufacturing Research Centre’s MANTRA (Manufacturing Technology Transporter), a specially-customised HGV trailer, specifically designed to give aspiring young engineers a chance to try out a wide-range of cutting-edge technologies that would otherwise remain locked behind factory doors. Using the latest virtual reality software, everyone is invited to step up to the MANTRA’s advanced welding simulator to grapple with highly specialist skills, dismantle virtual jet engines and test their aptitude on a range of production-line tasks, from using lasers to component testing, across seven, interactive screens. Further establishing connections between young people and their future careers, the festival’s STEAM Pavilion (Science, Technology, Engineering, Art & Design and Maths) returns for a second year, offering the same, once-a-year opportunity to interact with industry experts, putting emphasis on fun and exploring the bright futures possible through manufacturing apprenticeships. 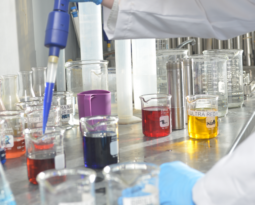 Amongst this year’s participants are Clitheroe’s Spiroflow, a major ingredients supplier to world’s top food companies, demonstrating their ground breaking technologies and promising prizes for visitors who get busy with their engineering challenges. 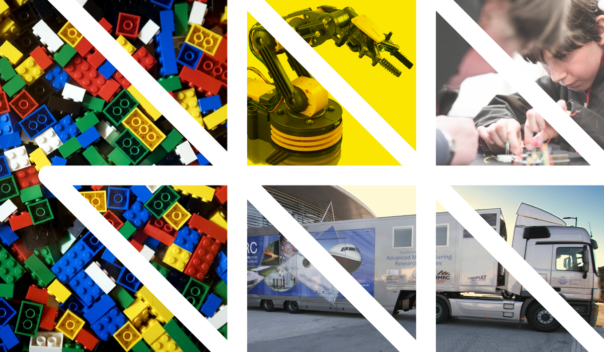 Others confirmed to make manufacturing magic with visitors in the Town Hall Square marquee include the Future U Team, bringing 3D pens and robotic arms to play with, the University of Central Lancashire (UCLan) presenting electronics and a ‘giant tetrahedron’ building challenge alongside activities from BAE Systems and Blackburn College. 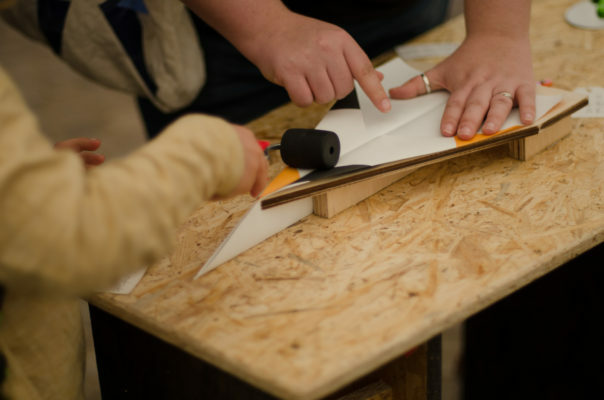 Meanwhile, the enduring ingenuity and the technology and the human brain triumphs over electronics as artist, David Boultbee brings his Folding Table for the perfect production of the time-honoured paper plane. Using traditional, industrial methods of reliable manufacture, the part-artwork and part-engineering challenge guides all comers towards the near-foolproof folding of an airborne masterpiece in the use of this one-of-a-kind creation. The unsurprising ingenuity of fresh, young minds will be showcased in two, ‘live’ projects led by young people from Lancashire. 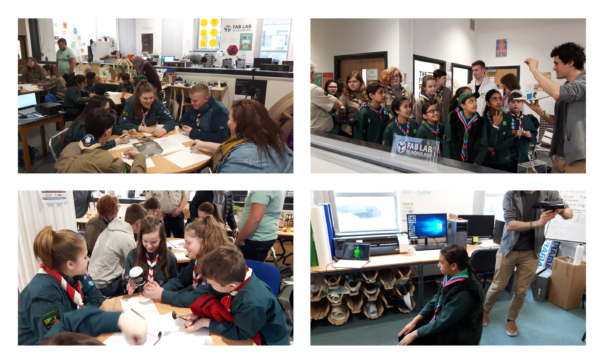 Scouts from the county have been introduced to ‘Industry 4.0’ technologies by Blackburn-based INFORM in partnership with UCLan in recent months, setting the groups the challenge of responding to a real-life brief and create lifestyle-enhancing aids or devices for an individual challenged by physical or other disadvantage. The results will be proudly showcased at the festival, alongside more problem-solving brilliance from Blackburn’s St Bede’s School’s and their race car, proudly built by seven students, all under the age of 15, to challenge in competitive races. 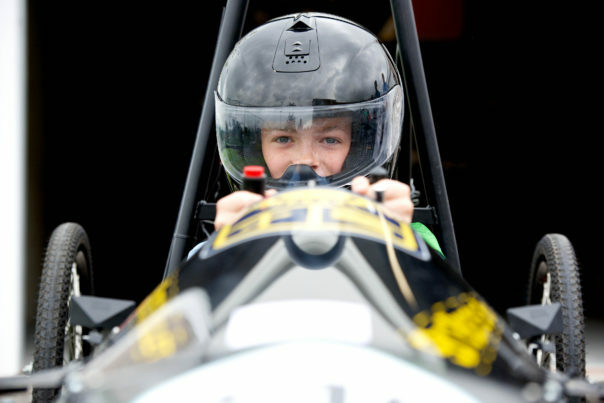 Their enthusiasm and skill, supported by BAE Systems and Lancaster University, will be passed on to the next generation with drawing and colouring activities for children as the young drivers, mechanics and engineers supervise in their helmets and racing colours.